London bid leader and British Olympic hero Sebastian Coe, Tony Blair and David Beckham all played a part in winning the most competitive race for the Games in Olympic history. 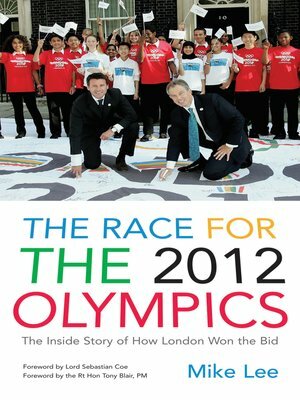 But it was far from plain sailing and the campaign was a rollercoaster ride of emotions: full of drama, controversy and tears from the moment businesswoman Barbara Cassani was given the task of launching the bid in 2003, to the fateful day in Singapore when her successor, Lord Coe, and the rest of the world was told London had won. Mike Lee was at the heart of this intriguing journey through the entangled world of International Olympic Committee politics, international sport, British politics and the media as he travelled the world with Coe and other team members to present London's bid.